Section 7.1 The Impedance Triangle. •Calculating Impedance in inductive and capacitive circuits. • Multi stage calculations involving impedance reactance & resistance. Measured in Ohms but NOT Resistance. 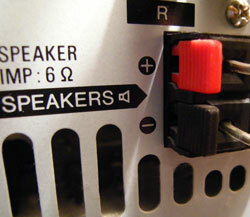 The term Impedance is familiar to anyone who has connected a loudspeaker to an audio system, it is generally a number of Ohms, often printed next to many input or output sockets. However the property of Impedance is perhaps less understood. The word impedance is used in many engineering disciplines to refer to an opposition to work done, so this article refers specifically to electrical impedance, which describes the combined effect of resistance (R), inductive reactance (XL) and capacitive reactance (XC) in an AC circuit, whether it occurs in a single component, or in a whole circuit. Because electrical impedance (here called simply "impedance") is affected by reactance (X), as well as resistance (R), it is also affected by frequency (ƒ) and a given value of impedance will change at different frequencies. To describe the impedance of a component or circuit in terms of so many Ohms is therefore inadequate (but commonly done). To be accurate, the impedance needs to be expressed as so many Ohms at a particular frequency. What frequency is used will depend on the type of circuit being described and what range of frequencies the circuit is handling. The frequency chosen for the measurement of impedance is usually around the equipment´s mid frequency range. For example, in audio circuits which may have a frequency range from a few Hz to around 20kHz a frequency of 1kHz is commonly specified. Although at first 1kHz does not seem like the centre of a 20Hz to 20kHz audio frequency range for example, if this range is considered on a logarithmic scale (as frequency scales commonly are) then 1kHz is approximately at the centre of the audio range.